Is this a 30 inch tabletop? 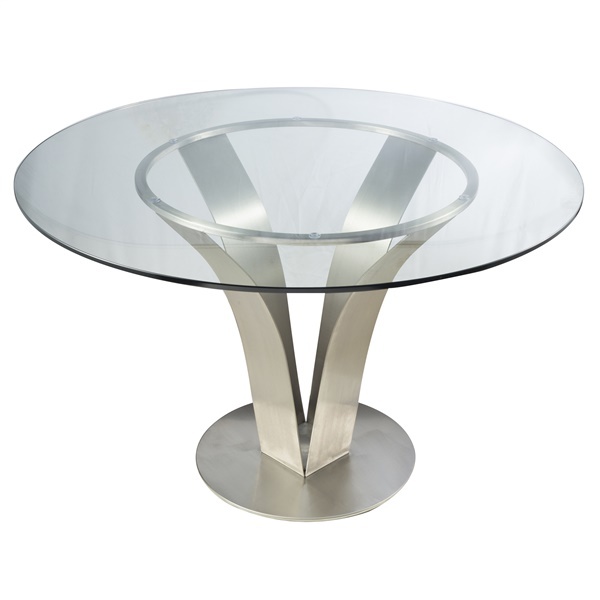 The Cleo Contemporary Dining Table is only available with a 48" diameter top. The glass on the Cleo Contemporary Dining Table is not attached. Once you assemble it, you will need to put the glass on top and it stays in place with suction cups around the metal parts of the table. Are there chairs that go with this table? Submitted by: Shirley on December 31, 2016 from Lone tree co.